Since the beginning of its operation in Syria on September 30, Russian Air Force has carried out 1,391 sorties in Syria, destroying a total of 1,623 terrorist targets. 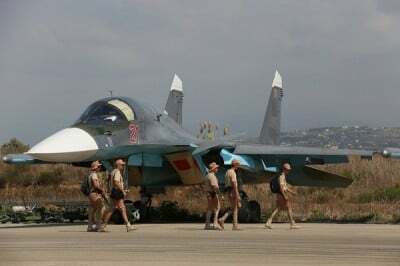 In particular, Russian warplanes destroyed 249 ISIS command posts, 51 training camps, and 131 depots, Andrey Kartapolov, head of the Russian General Staff Main Operations Directorate said on Friday. According to him, militants in Syria are trying to redeploy forces from Iraq and other neighboring states, but their morale and training levels are very low. For the last six days, ISIS has blockaded the Syrian Government’s only supply route to the provincial capital of the Aleppo Governorate. However, for the last 48 hours, the Syrian Arab Army (SAA) and Hezbollah have worked to restore the security of this vital highway that stretches across the Khanasser Plains of east Hama. The SAA and Hezbollah are currently less than 1km away from liberating the Khanasser-Ithriya highway. Meanwhile, southwest of Ithriyah, ISIS launched another assault on the imperative hilltop of Tal Khayber, targeting the NDF positions at the southeastern perimeter of the hill. The assault was beaten back. ISIS has recently shifted its focus from Khanasser-Ithriya Highway to the Salamiyah-Ithriya Road, where the SAA reinforces their soldiers at the crucial city of Ithriya. If it falls, the SAA at the latter city will be cutoff from their main supply line. According to reports the leaders of the al-Nusra terrorist group operating in the Syrian province of Hama have decided to join forces with ISIS as the Syrian army continues its offensive. Separately, the SAA and the NDF continued their advance to the Kuweires Military Airport, capturing several building blocks from ISIS inside the town of Sheikh Ahmad in the Deir Hafer Plains. Then they captured the Railroad barrier inside the eastern district of the town. This allowed for the Syrian Armed Forces to cross the Aleppo-Baghdad railroad that passes through the east Aleppo.